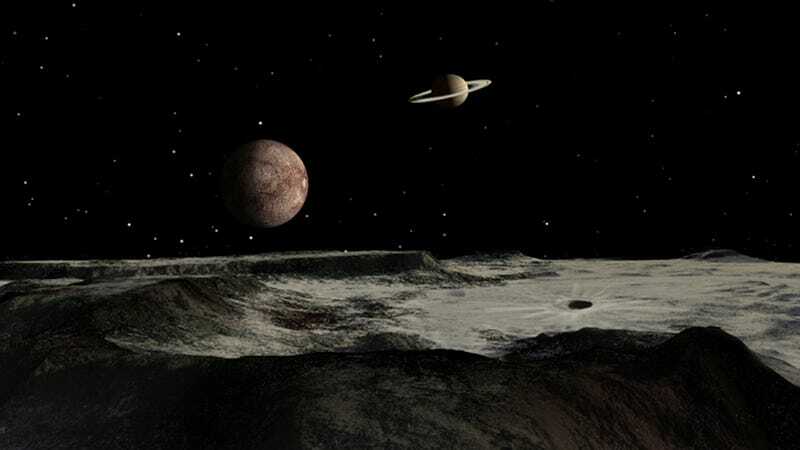 HOW THIS MOON LOST ITS RINGS | An illustration of the view from the solar system's weirdest moon, Iapetus, which no longer has rings. Learn more here. Hey, who ripped open a hole in the universe?